Unifab designs and fabricates Conical Bottom Chemical Tanks that are manufactured from linear polyethylene in one piece. This conical tank is designed for either indoor or outdoor use and the cone bottoms are provided for quick and complete drainage. 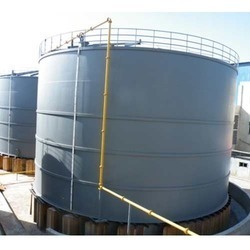 These conical tanks are use for the bulk storage in various chemical plants requirements.